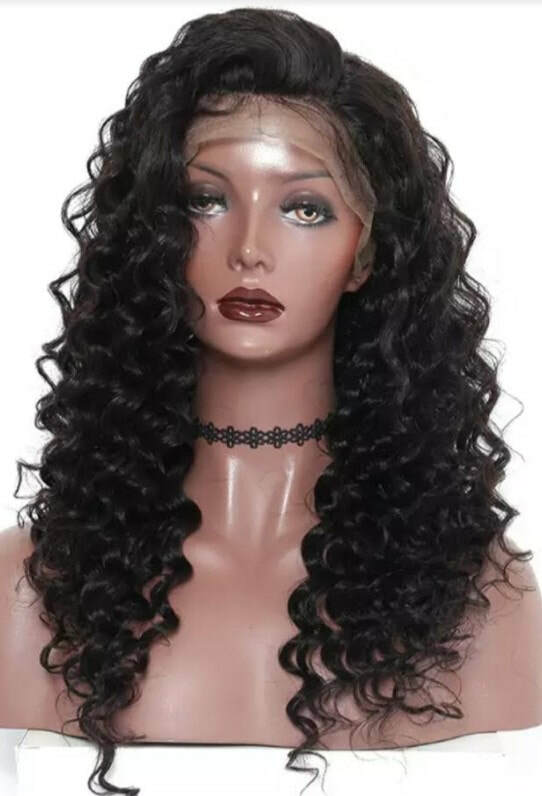 360 Lace Frontal Wig is a 360 lace frontal 22.25"x4"x2" 22.25 is the circumference. 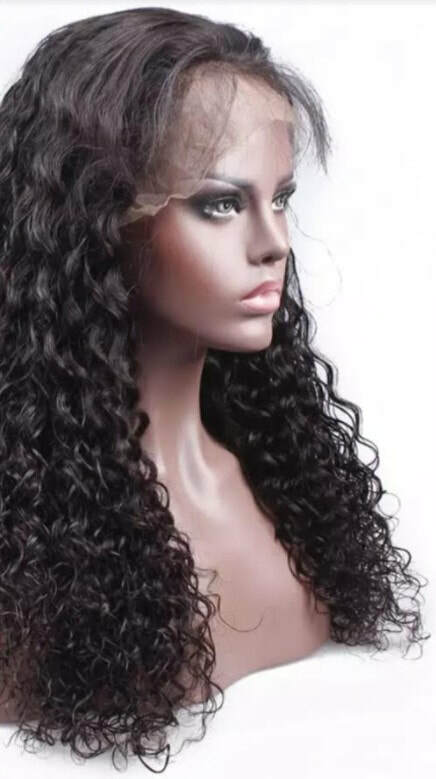 The lace goes from ear to ear & goes all the way around the perimeter of your head with wefts sewn in the middle. 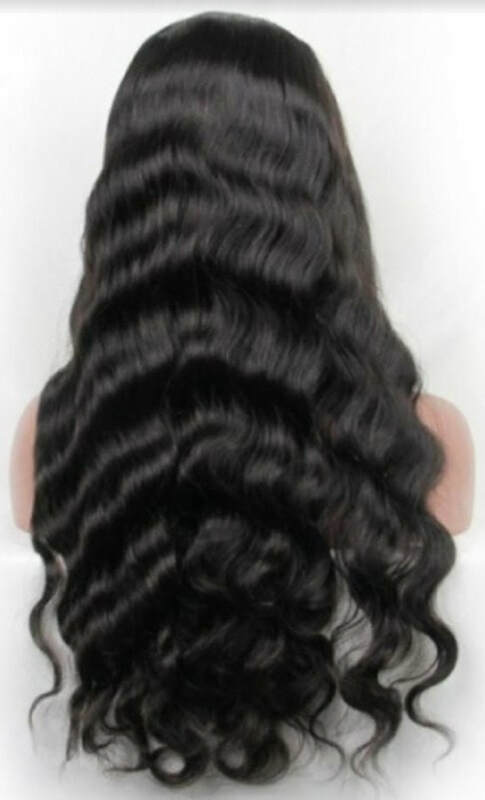 They come in lengths of 16"-24" body wave, straight, loose wave, & deep wave & curly. 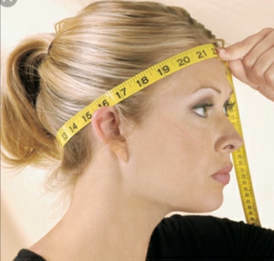 Bigger parting space also will gives a realistic look. 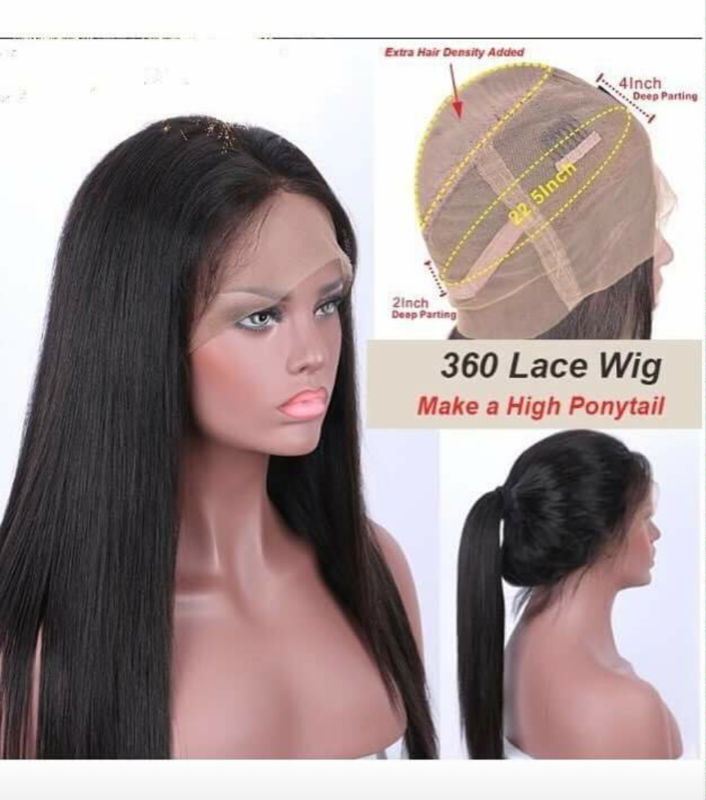 360 lace all the way around the perimeter for coverage with wefts sewn in the middle. 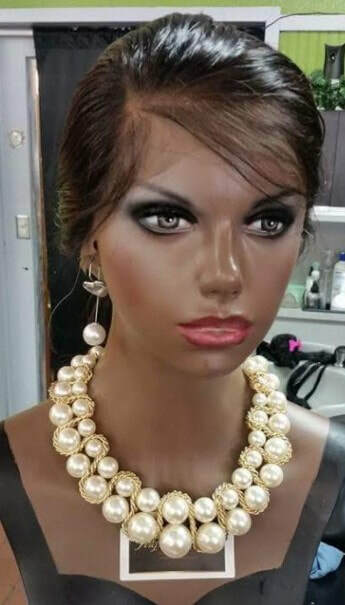 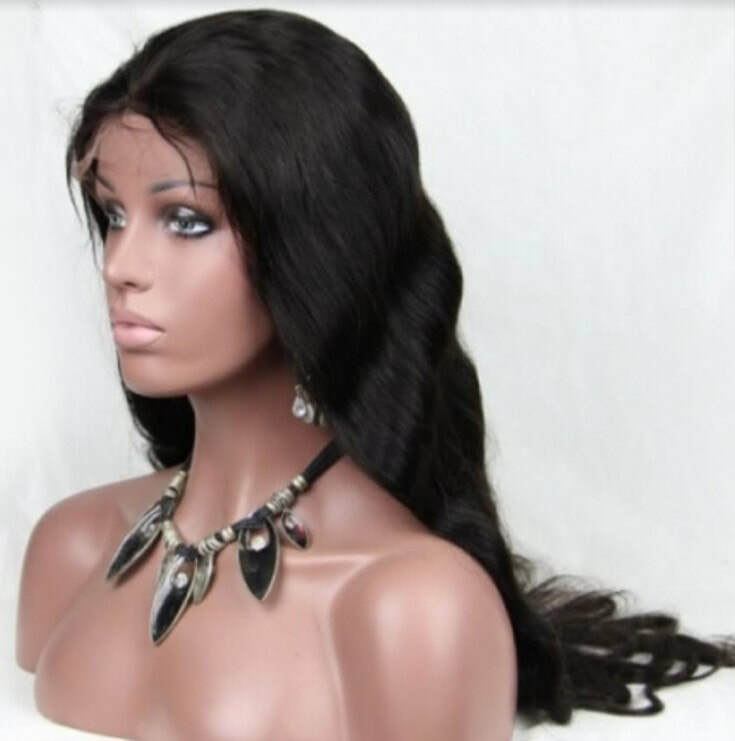 These wigs are best for ponytails and updo styles. 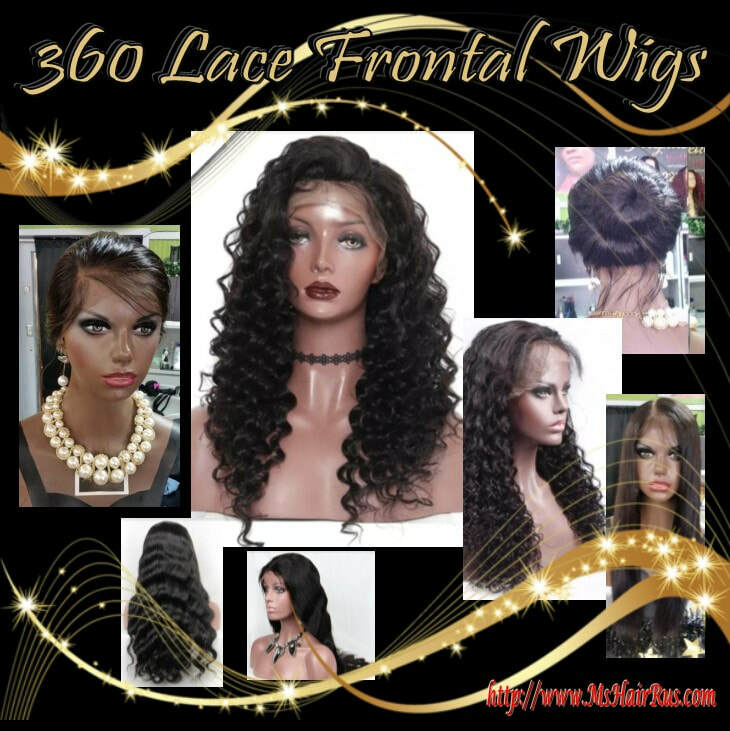 360 Lace Frontal Wigs are made with an adjustable strap to fit most heads. 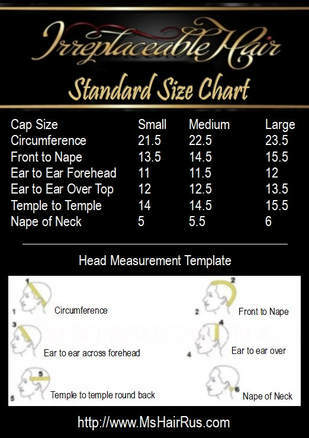 The lace will have to be down to fit your head size.